Dr. Scott Mist graduated from Portland State University in 2007, receiving his PhD in Systems Science focusing on computation and statistics as applied to whole systems research of complementary and alternative medicines. Previously, Dr. Mist obtained a Masters of Acupuncture and Oriental Medicine at the Oregon College of Oriental Medicine. He has been working on NCCAM/NIH funded projects since 2000 with a focus on Traditional Chinese Medicine for temporomandibular joint disorders (TMD). In 2007, Scott completed a calibration study focusing on obtaining greater consistency among TCM practitioners diagnosing TMD patients. Scott completed a post doctoral fellowship with the Oregon Center for Complementary & Alternative Medicine in Neurological Disorders focused on the treatment of fibromyalgia with traditional Chinese Medicine. This included training on fMRI and H-MRS – two neuroimaging techniques used in the investigation of fibromyalgia patients. Using these techniques, Dr. Mist hopes to use blood-oxygen dependent (BOLD) and glutamate- creatinine and glutamine-creatinine ratios as biomarkers for pain reduction following traditional Chinese medicine treatment of fibromyalgia patients. 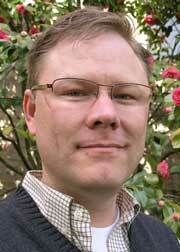 Currently, Dr. Mist is an Assistant Professor at OHSU and working on his funded K23 grant. His clinical research will examine whole systems traditional Chinese medicine for the treatment of women with fibromyalgia. He is focusing on trial designs that reflect clinical practices as well as ones that inform and improve clinical practices are his current focus.